Hey, Ian, You’re My Miss Washington, D.C.! Stalwart teens from the D.C. punk scene today are no longer iconoclasts and not yet icons. Ian Svenonius, from the beginning, was both. His first band, The Nation of Ulysses, achieved basement stardom all over the country in the late 1980s and early 1990s. Their ultra-political records combined brusque rhythms, restive melodies and impudent vocals. Every note, every riff, every beat summoned a social conflict of the jagged and the smooth, a class war between the unruffled and the incensed -- and yet it all sounded tight, even cogent, as if the roar of the underground could be riotous and refined without losing any credibility. I first heard The NOU in 1994. They had already broken up. Listening to them again this fall, I remember the excitement I felt as a 15-year-old. I bought new clothes. I wore smartly scuffed wingtips wherever I went. I adorned myself in second-hand authenticity and third-rate chic from a first-class thrift store. (It was -- and still is -- all about the geek as scenester. Witness all the shoe dorks today, the kids with enough used high-end Japanese sneakers to show up at every show in a different pair.) In my eyes, The NOU were unalloyed, insouciant, ribald, peremptory, now. At the time, only such a cluttered and mismatched description -- an early sign of myself as a mental junk collector who would regularly need to take out the trash -- conveyed my delight. I didn’t realize that those words together said too much and not enough -- plenty of nothing. As I stare down the barrel of 30, I am reminded that adolescence, regardless of your musical taste, is really just a string of necessarily donned contradictions, one after another. Fail to wear them well and you could be left cold and bruised, stuffed in a school locker. We may reconsider and refurbish our contradictions, but we should not outgrow them, even when they seem juvenile compared to our matured reason and trail of experience. Youth must neither be wasted on the young, as Shaw sniffled, nor wrecked by parents, as teenagers complain. It bears the message of each generation, a message informed by the past and attuned to the future, yet that is neither overburdened nor weightless -- a message that amplifies what can be done in the present, no matter what the bullies say. Fealty to the message requires fealty to those who deliver it. We cannot afford to change much. After reading Svenonius, Gide sounds like an aging D.C. scenester. I think Gide’s whole account of faithfulness -- clinging to the truth you discover when you are young and reaffirming it as you get older -- serves as unacknowledged inspiration for Svenonius. In his first book, The Psychic Soviet, published by Drag City, the Chicago label for which he currently records, Svenonius tries to maintain fidelity to his youth, delivering a message familiar to himself and to those who have followed his career. Most of the arguments could have been cribbed from The NOU’s mimeographed manifestos. 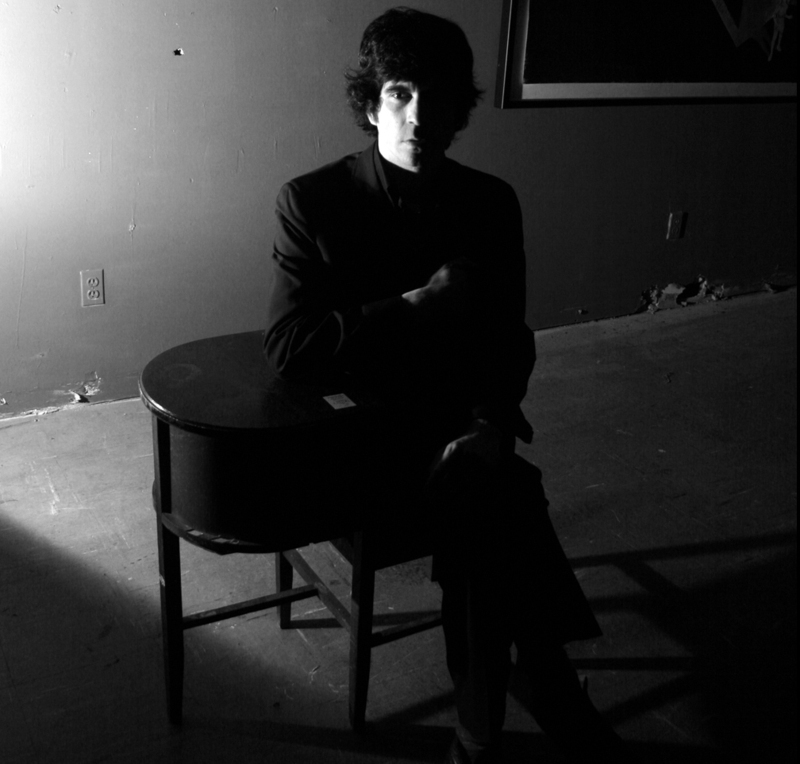 Kelefa Sanneh suggested recently in The New York Times that Svenonius has written an elegy for his former bands. That is misleading. It makes the book sound too personal. There is little explicit autobiography here and even less reference to his musical past. The NOU, Make Up, and Weird War are never mentioned. You read The Psychic Soviet without gleaning much about Svenonius’ place within the independent music world of the last two decades. Which is unfortunate, given his ingenious longevity. Nearly 40, he continues to make albums that enrapture au courant kids while remaining half-hidden from them -- enigmatic enough to intrigue his scene’s elder statesmen and cultivated souls who today live mostly above ground but like to head down under every so often. All this success, yet his life is the biggest concealment. He has granted innumerable interviews, but most of them dwell on political matters, obscure or obtrusive trends, and his jocular answers to questions about politics and trends. Seldom does he reflect seriously on how he became himself. Does he believe his fans treat him as someone subterraneous? Is he parodying the way people mythologize the underground? With lyrics like that, who knows? In his songs, the demonstrable secrecy -- letting people point out, as I just did, exactly when and where he hides, without giving anything away -- keeps you enthralled. His evasion of self-examination in print is different. It comes across as convenient dissembling. It enables Svenonius to shred the history of rock and punk into throwaway bits of conformity and shield himself from the sharpest blades. But if, as he says, “a rebel stance was intrinsic to the rock ‘n’ roll matrix,” if punk was just an “inevitable convulsion,” a safe spasm, then subversion was there from the start and is useless today. What has changed? Because his premise is overblown (rock as crusading competitor), so is his conclusion -- namely that, these days, “the churches are barren and sad.” Despite some indications of laxity in observance (Catholic “creasters,” for example, who only go to church on Christmas and Easter), many people, including rock fans, still attend services regularly, treating the church as a spiritual and cultural haven, the center of individual and community life. He has it backwards: only when capitalism seemed so invincible did it spark fresh disagreement about capitulation and resistance to global economic power. The very notion of ineluctability became more contestable than ever. There was a pervasive realignment of ideology, as political scientists call it -- old lines in the sand, previously taken for granted, were fiercely drawn anew. On that, readers of The Wall Street Journal and The New Left Review agreed at the time. And probably still do. What of our pill popping, then? Well, the popularity of antidepressants is “just one symptom of a ‘Post-Soviet Depression’ (PSD) syndrome.” Somehow I doubt that we all suffer from his Marxist malaise. Some of the rubbish in his intellectual fortress really smells. At some point, he will have to get rid of it. As it is, Svenonius saves every idea -- zany and brilliant -- that ever comes to him. He certainly wants to live in the world. But for now, he lives only in his head. Daniel Morris is a writer and publicist at The New School. He works for established outsiders and kind of loves it. He also teaches philosophy and goes to shows when he can. I love Ian, but I'd really dig this if it included Ulysses-style interjections from Steve Gamboa. P.S. You forgot to mention Cupid Car Club! "He underestimates religion and overestimates capitalism." ...perhaps if one conflates religion and capitalism (as the West has done since roughly 1600). i would argue that we are no longer capable of recognizing religion / and when we do recognize it, it's as something horrendously *other* and, hence, something to be snuffed out completely.